This might be the best time to visit Vegas for a little adventure. Our deal hunters have found an incredible cheap Las Vegas hotel from $29 per night. 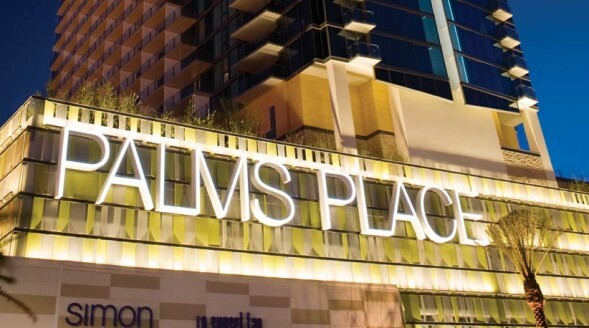 The cheap hotel in question is the upscale 4.5 star Palms Casino Resort and Palms Place, located only 1 mile from the Strip. Book soon as rooms will sell out in a glance as you don’t find a Las Vegas hotel from $29 per night – which is also a celebrity hot spot – every day. You can travel more or less any time through March 31 2013, blackout dates at your Vegas hotel include: September 14-15, 21-25, 28-29; October 5-6, 30-31, November 1, December 30-31, 2012 and January 6-10, 2013. As cheap as this Las Vegas hotel is, you may have other plans in mind. We can help with that too! Check out our top travel deals for this week and choose from 13 nights Transatlantic cruises for $499 for those with sailor aspirations and still a lot of free days left, Mexico flights from $199 r/t for those who want a vacation closer to home and numerous other deals – check them before they all sell out! Great deals! These are very good prices.